Rotherham United sent two separate squads to two different games last night – one to the oldest club Sheffield FC and the other to Stocksbridge Park Steels. Paul Warne was in charge of the game at the Coach and Horses Ground with the starting eleven being Bilboe, A Trialist, Ajayi, Wood, Mattock; Williams, Palmer, Taylor, McGinley, Smith, Ball. The Millers won the game three-nil with Michael Smith scoring twice and David Ball getting the other. Smith had a chance early on which was blocked by home ‘keeper Sam Turton which then fell to Ryan Williams who put the ball over with Jon Taylor also going close. Former Miller Marc Newsham might have scored for the hosts but Millers’ ‘keeper Laurence Bilboe was there to keep the ball out. Turton was much the busier of the goalies and stopped chances from Reece McGinley and David Ball before saving a Smith penalty following a trip on Williams in the box. After saving late in the half from Taylor and Richard Wood, Turton was finally beaten at the start of the second half after a Williams shot was spilled by the Sheffield ‘keeper but Smith was there to tap in to give the visitors the lead. At the other end Andrew Gascoigne saw a free-kick hit the bar and Bilboe did well to save from Anthony Mackie. But in the final five minutes a quick throw found Smith who made it two-nil with an unstoppable shot followed by Turton pushing a Taylor shot out but only as far as David Ball who slipped the ball home for the three-nil win. Richard Barker and Mike Pollitt were in charge of the game at the Stocksbridge with the starting eleven being Price, Ihiekwe, Onariase, Robertson, Purrington; Forde, Vaulks, Wiles, Newell, Vassell, Yates. 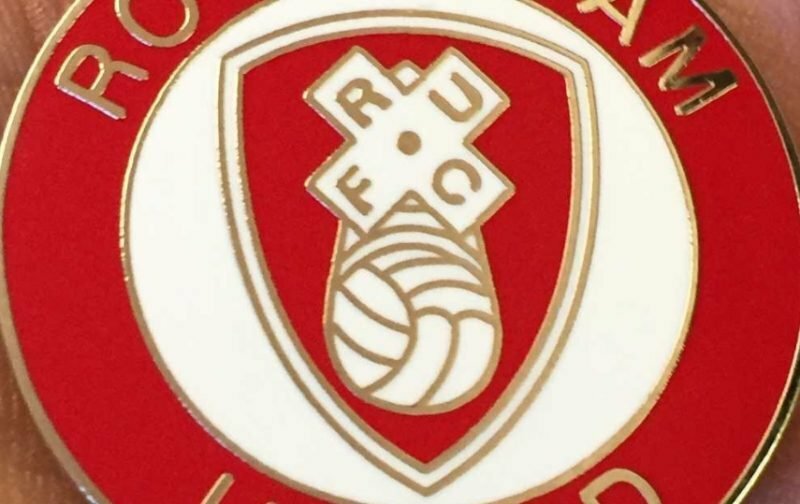 A Kyle Vassell hat-trick and another from substitute Akeem Hinds saw Rotherham win four-one. Vassell should have scored within the opening minutes but saw his shot go just past the post. But some good work from Ben Purrington on eleven minutes saw his shot parried away by Steels’ ‘keeper Jordan Greaves but only as far a Vassell who opened the scoring. After Vassell saw a shot go into the side-netting the hosts went up the other end and Scott Ruthven put the ball past Millers’ ‘keeper Lewis Price to equalise. Joe Newell might have made it two-one but put the ball over the crossbar before Vassell got his second with five minutes of the half-rest to give the visitors a two-one lead at half-time. Akeem Hinds came on for Joe Newell at half-time and he had a shot that went just wide in the opening minutes of the second half. Rotherham did get a third goal when an Anthony Forde corner found the rising head of Hinds who stuck the ball into the back of the net. Ben Wiles won a penalty for the visitors after he was brought down by Greaves but the hosts ‘keeper made up for his error by saving Vassell’s spot-kick. But five minutes from time a lovely pass from Jerry Yates found Vassell who made it four-one and got his hat-trick. So, that’s the two games, two teams and two wins sorted – but what about the two players we’ve been hoping will make the difference in the coming season – Jamie Proctor and Darren Potter, both who saw most of last season on the treatment table. Proctor made just six appearances last season after getting a cruciate ligament injury in August. He was handed the honour of leading the Millers out at Wembley in May which was hopeful that he would be fit to start this coming season. Potter managed eighteen appearances, the last one being at the start of December. He was originally out with a heel injury but then hobbled out of the game away at Bristol Rovers and although he was expected to be back before the end of the season things didn’t work out that way. Now, it’s understood that Procts will be playing a behind closed doors game sometime this weekend and then, if he comes through that unscathed, he should get more minutes in our friendly with Cardiff City next week. But the same might not be said of Potter. It seems that nothing has been heard about him for a while and there are rumours that he’s had a big set-back and might not appear for some weeks, maybe months. Let’s hope it is just rumours but I’m edging on being a big disappointed when the season starts.